Sedum nussbaumerianum is easy to grow. It likes at least a half day of light; any less will make it somewhat weak and spindly, although it will grow. It doesn't seem to care if you feed much it or not. It doesn't need much water at all, but accepts regular watering. I've never lost one to rot if there is enough sun. Propagation is as easy as throwing a leaf down somewhere and waiting for a few months. 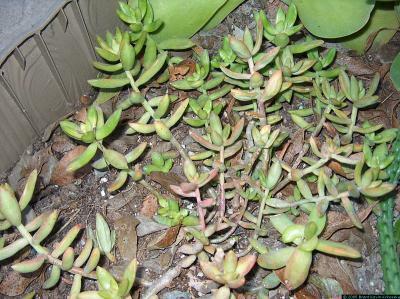 Sedum nussbaumerianum is great in hanging baskets and poor foundation soil where nothing much else will grow.